Lauren Greenfield and Keenan Bessewer of Florida were hitchhiking west Thursday but were unable to catch a ride past Dotsero due to the I-70 closure. "We were here all night waiting for a ride, and now we're stuck here all day," Greenfield said. 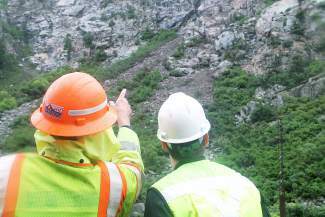 CDOT workers study the hillside from which rocks fell Thursday morning onto Interstate 70 in Glenwood Canyon. A mudflow pushes over the barrier on the north side of I-70. 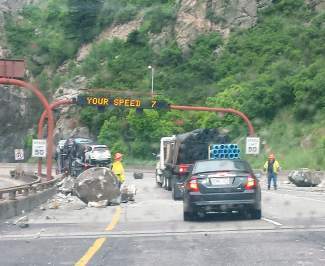 Traffic backs up on eastbound Interstate 70 on Thursday morning at the Glenwood Springs exit after the Colorado Department of Transportation closed the road because of a rockslide in Glenwood Canyon. 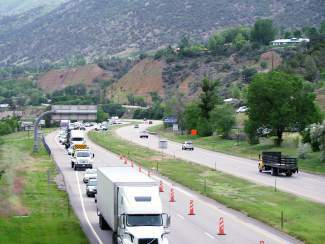 Eastbound Interstate 70 traffic backs up at Glenwood Springs after the road was closed Thursday morning. Rocks litter westbound Interstate 70 on the morning of June 11, 2015. The slide forced authorities to close the freeway in both directions. 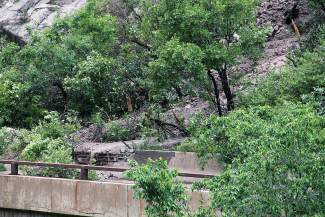 This is the scene of Thursday morning's rockslide in Glenwood Canyon that forced closure of Interstate 70. 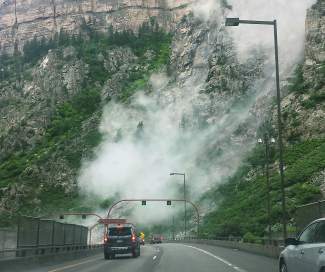 Interstate 70 through Glenwood Canyon was closed for eight hours Thursday because of a rockslide just west of the Hanging Lakes tunnels, an area prone to slides. 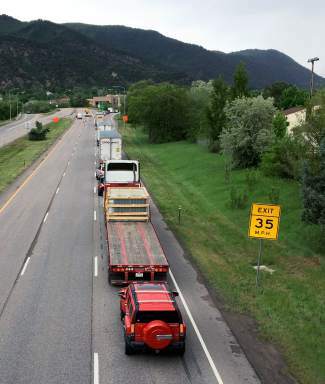 The Colorado Department of Transportation closed the interstate in both directions between Glenwood Springs and Dotsero after seven 1-ton boulders crashed onto the road at about 7:45 a.m. No vehicles were known to be damaged and no one was hurt. The westbound lanes, where the rocks fell, were officially closed at 8:22 a.m., followed by a full closure of the interstate at around 10:30 a.m. The road reopened in both directions at about 4:20 p.m. The north canyon wall continued to lose smaller rocks into the afternoon. The rockslide came after a soggy night and several weeks of wet weather that have increased slide activity around Colorado. CDOT crews worked through the day to clear the road and to make sure it was safe through the area. While the rocks hit only the westbound lanes, CDOT closed the road in both directions. “Especially in an area that sees this much rockfall, we err on the side of caution,” Trulove said, acknowledging the inconvenience for motorists. Guy Patterson, De Beque’s town manager who commutes there twice a week from Avon, was stopped by the slide in the morning and emailed pictures to the Post Independent. “I’m wondering if my commute back today will be over Independence or through Meeker,” he said in his email. Several truckers parked along U.S. Highway 6 in West Glenwood to wait out the closure. Dana Reynolds, a trucker from New York, was traveling east to Cheyenne, Wyoming, to deliver produce to a Wal-Mart. The main product he was carrying were peppers, including hot peppers. “It’s only 250 miles, but it’s produce and it’s got to get there tomorrow,” Reynolds said. He said at the Utah border there was an “alternate route,” which he said wouldn’t really help. ”It’s not worth to go all the way around. “I’m just going to have to wait it out,” he said. 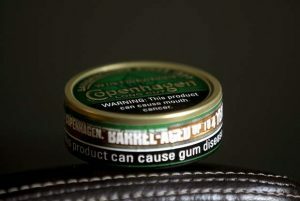 Jeff Szentmartony of Idaho Falls was at a West Glenwood convenience store at midmorning after pulling off of I-70. He was headed home, pulling his camper, after camping at Rifle Falls State Park. He called 511 to see what was going on and heard that the road was closed indefinitely. 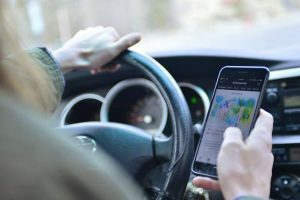 To get around the backup, he was going to take Independence Pass — an option not open to truckers, who are banned from the pass. Colorado’s wet spring increased rockfall on the state’s roads, Bob Group, an engineering geologist with the Colorado Department of Transportation, told the PI at the end of May. “We had a lot more than normal” statewide, with some slides covering lanes of travel or whole roads, he said. But, so far, no one has been injured. 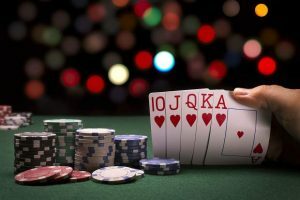 This story includes reports from Post Independent staff writers Will Grandbois in Glenwood Canyon and Kelli Rollin and Brett Milam in Glenwood Springs.